The herbalists that we work with would tell you there’s no such thing as a “weed”, and that often times the wild plants that sprout up in our well-groomed backyards are encroaching on our lives because we need them. Below, I’m going to share 3 revered recipes that you can make with this often overlooked flower. But first, let’s do a quick run-through of the many health benefits that dandelions so graciously bestow upon us. 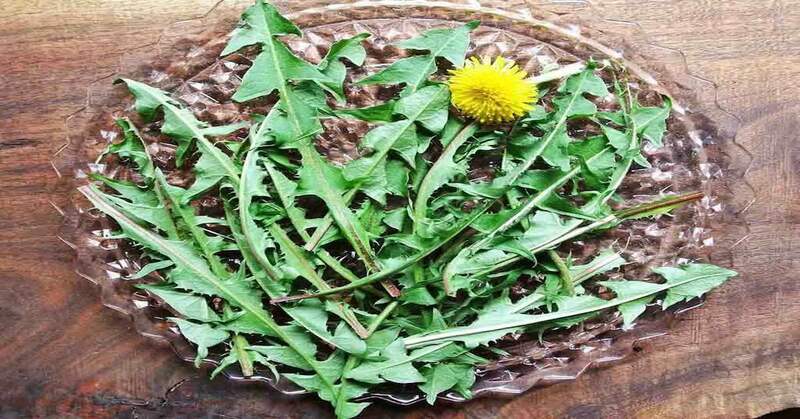 *You can find dandelion year-round in most health food stores, but if you choose to wild-harvest your own dandelion greens and roots, make sure to pick from a safe location. Stay away from roadsides and unknown yards because toxic pesticides are often used to keep these so-called “weeds” at bay! Click here to read more about Dandelion and other Ancient Medicines that live in your home! I was once told that the difference between a flower and a weed was a judgement. I learned about this wonderful herb last year on a foraging walk. You are right God does give us what we need. A couple of plants found their way into my vegetable bed and a couple of flower pots. I harvest them like greens. I parboil to reduce some of the bitterness then sauté with garlic and olive oil. My husband thinks I’m nuts. He won’t touch them. I tell him , it’s his loss! Greetings from France. You might also like to know that dandelion is known in French as “pissenlit” (politely, “wet the bed”) in reference to its diuretic properties! Greetings to you, Lyn! Thank you for that tidbit 🙂 Language holds many secrets to the properties of these plants! Thanks Nick for all your useful information. It’s wonderful. I now truly understand how my grandfather lived a long healthy life. He lived to 98 yrs old . Growing up I would watch him garden as well as enjoying all the delights from it. Dandelion was one of them . So much of what he ate is advised by you . He was a farm-to-table master . Grew up in Sicily on a farm. So glad I paid so much attention to his works & wisdom. I apply it daily in our lives as well. I miss him dearly . What a wise man he was !! I love making Golden Syrup from dandelion flowers. So delicious on pancakes or in tea. I should add that when picking hundreds of dandelions, drying and then processing it can present a pollen overload. I make it a habit to pick a leaf or two from the dandelion and chew it whilest in the garden. I consider that my daily prebiotic. Hi I like to now more about the medicine plant. long ago I had a Dandelion come up in the yard. I put a ring of stones around it to keep it safe from trampling feet and I also kept it watered. It grew up to my waist. The leaves were huge. I moved before I harvested it (I originally wanted the roots) but I still think I benefited from this plant even though I didn’t touch it. I love wild plants! Really enjoyed this blog for it’s originality and informative info. Now if people still don’t fancy trying your recipes I just wanted to ask/remind people not to destroy their Dandelions, at least not for a little while, as it’s they`re a great food source for our friends , the bees. Any guidelines for harvesting wild dandelions? Anything to be cautious of? Awesome, love the cultural reference! We have a special spot in our garden where we cultivate the dandelions to put in salads and smoothies. The yellow of the flower is the first in the spring for our pollinators! Dandelions have always been wish makers in the UK. Blow the seed head and make a wish. Awesome, love those traditions! Thanks for sharing! Love you Nick and your awesome team. May you live long & continue your sacred work. Can you please tell me what I could substitute the red wine with in the second recipe? Excellent question, Debbie! Please click here for some ideas, some mentions are Red Wine Vinegar, Juice (Grape, Pomegranate, or Cranberry), or Stock (Chicken, Beef, et cetera) – of course, the amounts used shall change. The wine is for flavor, as the alcohol ought to be cooked out. Hope this helps! Enjoyed learning about the uses, and benefits of the Dandelion, will try some in a salad, and a pesto, thanks for the information. Beautiful, let us know how it turns out! Thank you for all the wonderful information and recipes. All very much appreciated. Don’t forget about roasted Dandelion Tea (or coffee substitute if you make it strong). You do lose the inulin which turns to sugar when it’s roasted. But it still has benefits and is SO good. Just roasted it makes one’s house smell exquisite. Absolutely! This is a marvelously versatile herb! What is the definition of “a bunch”? An approximate weight of volume would be helpful. Have you tried dredging the flowers in your favorite panko and frying? Tastes like a mushroom.